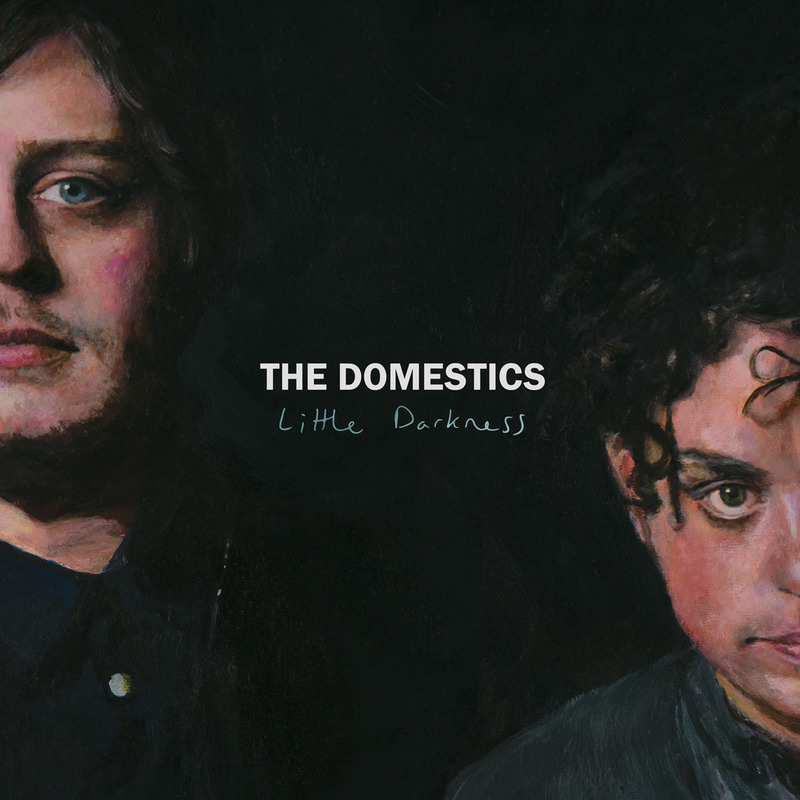 Artist Info: The impetus for Little Darkness, the new LP by The Domestics (the songwriting duo of Leo London and Michael Finn), occurred in 2015 on their tour with Blitzen Trapper supporting their self titled debut. The duo, and their band (Kyle Moderhak, Matt Moore, and Brad Norton), trekked through a grueling 28 shows in 30 days across the U.S. and Canada. Finn was going through a brutal and bitter break-up with his partner who was along with them for the tour and London's relationship of over a decade collapsed further with each passing day on the road. Upon arrival back home in Portland, Oregon, London immersed himself in early morning songwriting sessions, knocking out sketch after sketch while his now ex-girlfriend (whom he was still living with) slept. Having written over 200 songs since the recording of their first record, in the span of a few short months he wrote what would become the core set of songs for Little Darkness. From the opening notes of "Love That Dress" to the anthemic refrain of album closer "Our Light", The Domestics' Little Darkness is a sonically ambitious and compelling LP that demands repeat spins. Written in the aftermath of a national tour, the end of a decade long relation-ship, and recorded and mixed by legendary producer Tucker Martine in a tireless month of arrangement and sonic experimentation, Little Darkness sounds like an obsession with honesty and perfection as if there is nothing left to take away.